Are you needing more festive cheer in your Wild West Exodus games? 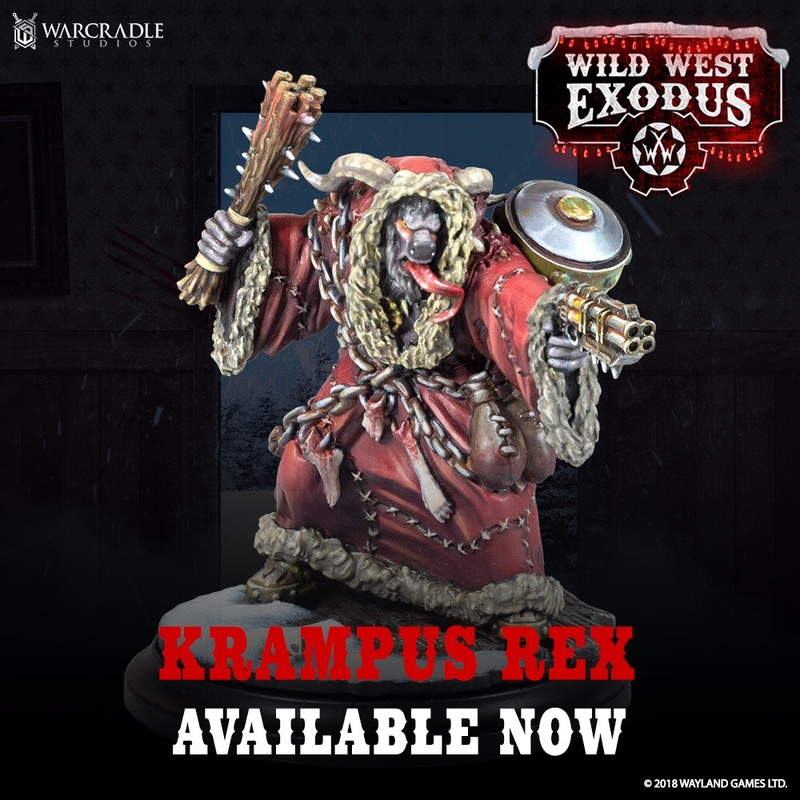 Warcradle Studios have announced their new 2018 seasonal miniature for Wild West Exodus. Better yet, it’s available to order now! Children all along the Frontier are used to hearing about Krampus from their parents – and their elder siblings too, of course! You can order Krampus Rex now in time for the holidays.